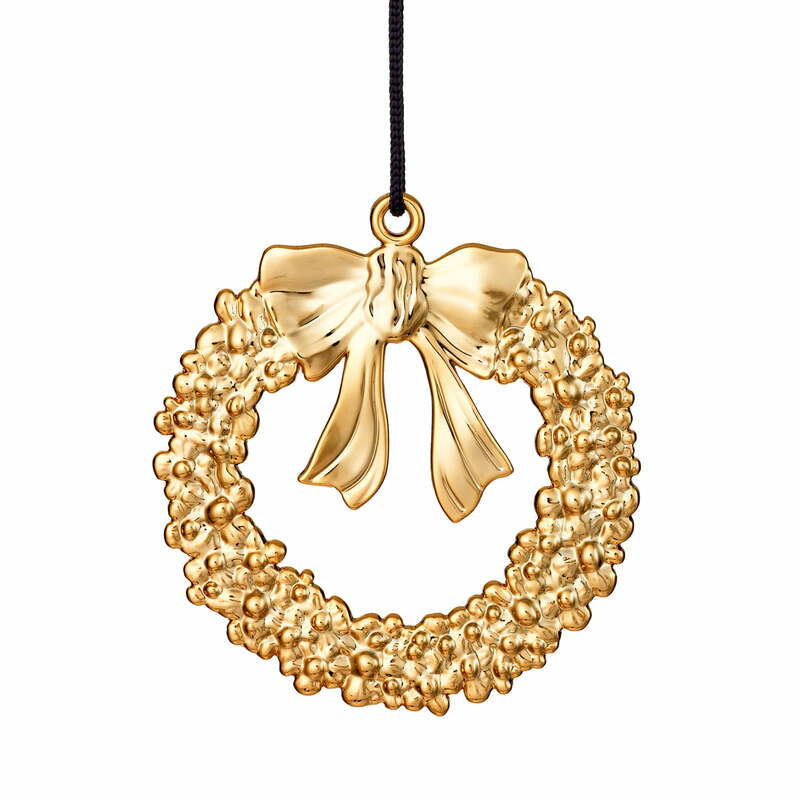 The Rosendahl Christmas wreath is a detailed decorated pendant that stylishly refines every Christmas tree. It is part of the Christmas series by Karen Blixens, who was not only a successful writer, but also placed great value on high-quality Christmas decorations. The designer Ole Kortzau has therefore designed part of the series dedicated to the writer. Besides stars and hearts, the Christmas wreath pendant is also part of the series and convinces with its classic timeless design. 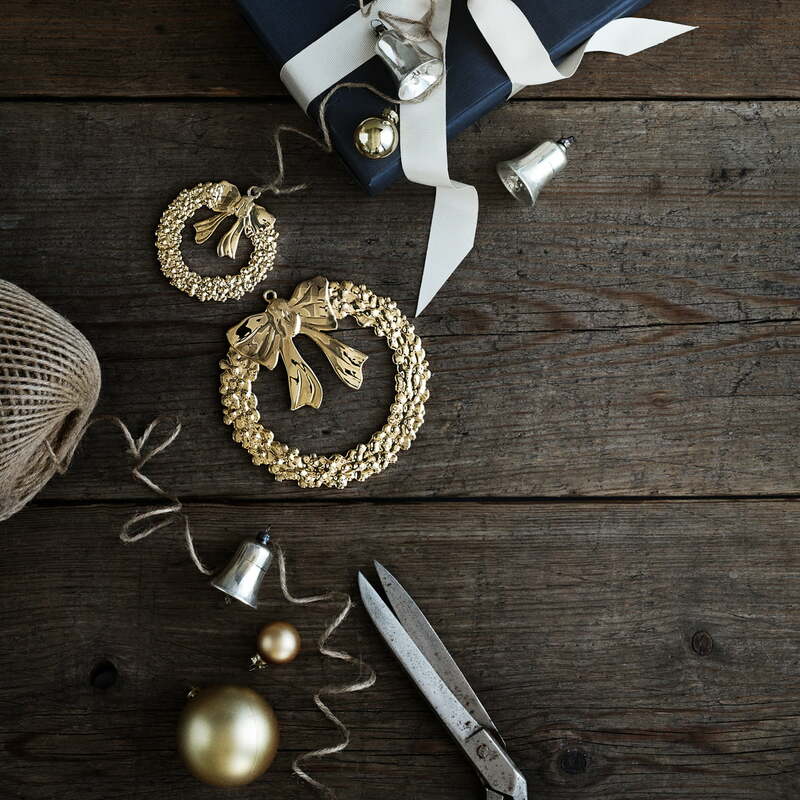 Made of a zinc alloy in various sizes and subsequently coated with gold or silver, the tree decoration sets sparkling accents and creates a festive atmosphere during the Advent season. Arranged on the table in combination with other pendants or hung on a bouquet of twigs, the Christmas wreath provides atmospheric elements. 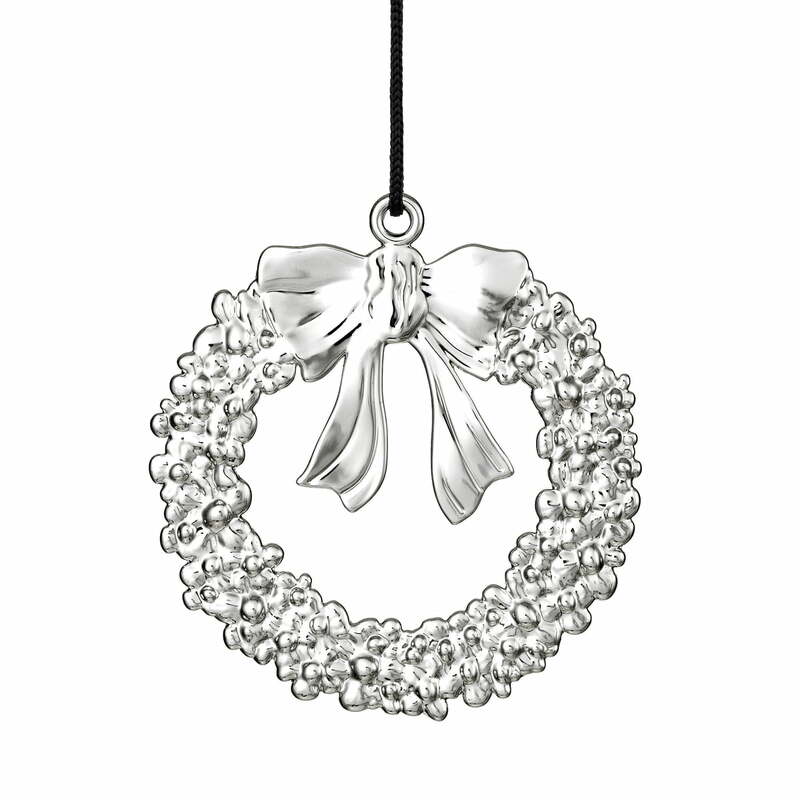 The Rosendahl Christmas wreath is a detailed decorated pendant that stylishly refines every Christmas tree. It belongs to Karen Blixen's Christmas series, which was partly designed by Ole Kortzau. Made of a zinc alloy in various sizes and subsequently coated with gold or silver, the tree decoration sets sparkling accents and creates a festive atmosphere during the Advent season.